A couple of weeks ago we wrote about the Tasks You Need To Finish During The Final Month Of Wedding Planning. One of these tasks was to pack a wedding day emergency kit. 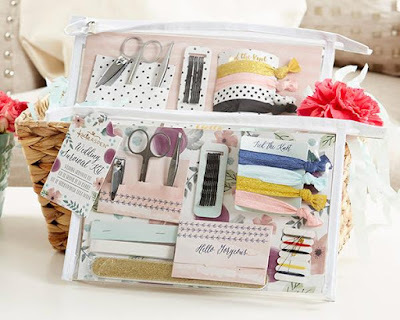 Today, WhereBridesGo.com has a list of some of the things that you will want to have in that kit to make sure you are prepared for just about anything on the big day. This list is broken down into categories to make it a little easier to read, but a lot of the items have multiple purposes and could come in handy in another area. 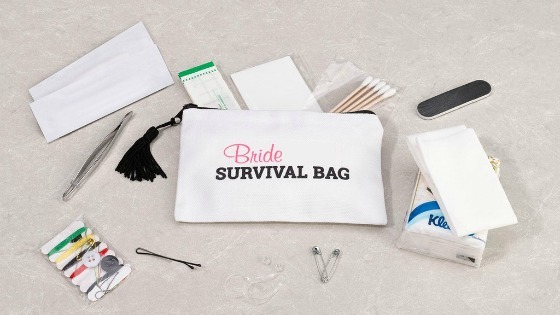 It doesn't matter where in your wedding day emergency kit that you keep them, all that matters is that you're prepared. Mirror - The room you are getting ready in should have a mirror, but you'll be lost if it doesn't. Bring your own just in case. Hand lotion - Put this on right before walking down the aisle. It will help your wedding ring to slide on smoothly. Tell your groom to do this too. Nail Polish - Pack both clear and the color that matches your manicure. This will come in handy for quick touch-ups, and the clear can stop runs in stockings and even secure buttons loose buttons! Tweezers - In addition to beauty, this is good item to have with your first aid items. 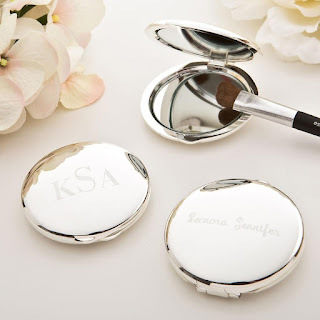 Facial blotting papers - These will take the "shine" off of your face in place of adding more face powder. Kleenex - Lots of mini-packs can be passed out to anyone at risk of shedding happy tears! Drinking straws - Once your wedding day makeup is on, drinking from a straw will keep your lipstick from smudging. Chapstick - Your beautician will probably have your chapped lips under control, but the gentlemen may need this. Razors - Just in case you missed a spot! Feminine hygiene products - Even if you don't need them that morning, it's better to be safe than sorry. 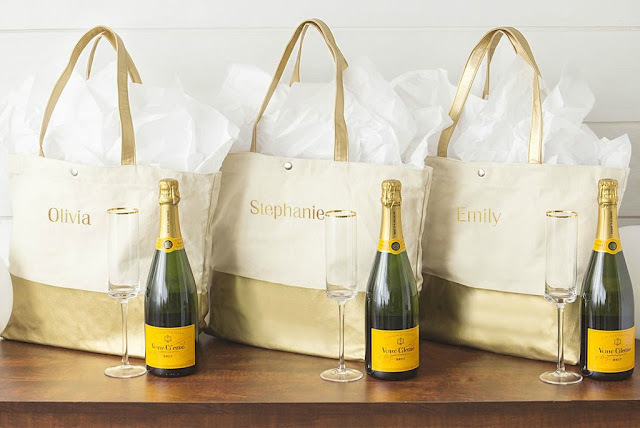 One of your bridesmaids might need them too. Toothbrush/ toothpaste - In case mouthwash just won't do the trick. Small sewing kit - Make sure you have thread colors to match your dress, the bridesmaids gowns, and the gentlemen's suits. Clear thread covers all of these. Baby powder & white chalk - These can be used to absorb stains on white dresses. White cotton towels or cloths - These are also wonderful for absorbing spills and avoiding stains. Safety pins/ straight pins - Safety pins are best to repair clothing, and the straight pins will come in handy if you need extras for attaching boutonnieres. Static cling spray - Another alternative for removing static cling is dryer sheets, and in a pinch, a running a metal hanger over the fabric can work. Lint brush - This is especially important if dark clothing is being worn by anyone in the wedding. Fashion tape - They make tapes to keep fabric together, and also to keep fabric in place on your skin, like for loose straps or a plunging neckline you don't want moving out of place. Extra earring backs - A piece of the cork from a wine bottle can also double as a back for earrings. Band-aids - The clear ones are less noticeable, and waterproof band-aids stay on the best. Have a variety of sizes to fit any need. Basic medicines - These include pain relievers (aspirin, ibuprofen, acetaminophen), allergy medicine, antacids, and any medicines you take regularly, such as prescriptions. Contacts list - Keep important phone numbers handy of wedding party members and vendors in case you need to reach them. Wedding day timeline - Keep a copy of this with your kit in case the other copies are misplaced or an extra is needed. Snacks - Excited brides almost always forget to eat! Keep light snacks in your kit for a quick bite before you walk down the aisle. It may be a long time before you eat after the ceremony. Bottled Water - Staying hydrated will help everyone make it through the day. Sun block - A necessity for an outdoor wedding. Sunglasses - Keep a pretty back-up pair in case the sun is shining too brightly. Bug spray - May be needed for an outdoor ceremony. Super glue - This works great for holding hems and for putting damaged decorations back together. Swiss army knife - This will cover a lot of possibilities and may eliminate the need for some items on this list. Pen & paper - You may need to jot down a number or send a quick note to someone. Having this handy makes it quick and easy. Per the name, the things in this kit are in case of emergencies. There's a good chance many of them will not be used, but if they are needed, you'll be relieved that you have them handy! It may take a little extra time to pull all of these items together, but you probably have most of the things on this list lying around your house already, so it won't be difficult or cost much. 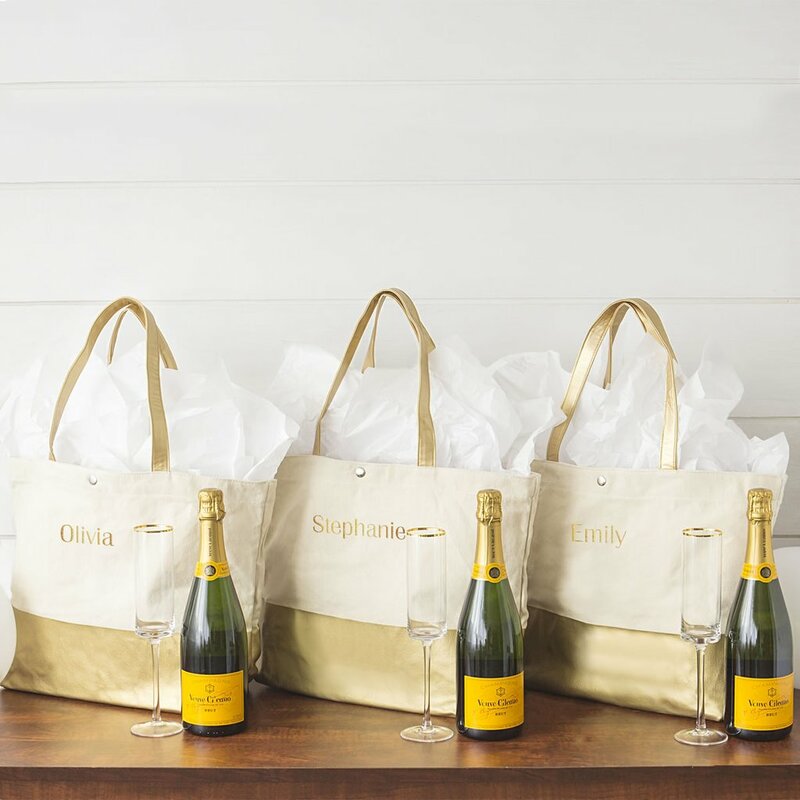 If you'd like to go an extra step, you can put together mini-kits as sweet gifts for bridesmaids in adorable totes or cosmetic bags. You can even make a small kit to send to the groom's room too. The more prepared that you are, the less likely anything will have the chance to mess up your very special day. Best wishes from all of us at WhereBridesGo.com!